Last year I took up the personal challenge to start going natural with my hair. Natural to some are different to others my version of natural wasn't so much stopping relaxing my hair as I don't do that to start off with but it was to use ingredients that are more natural. Excusing any cones & sulfates. Condtioner : This has been used regularly in my routine, I do use more than one conditioner in my hair as I need one that is going to help remove the dirt and another that is more rich in moisture. 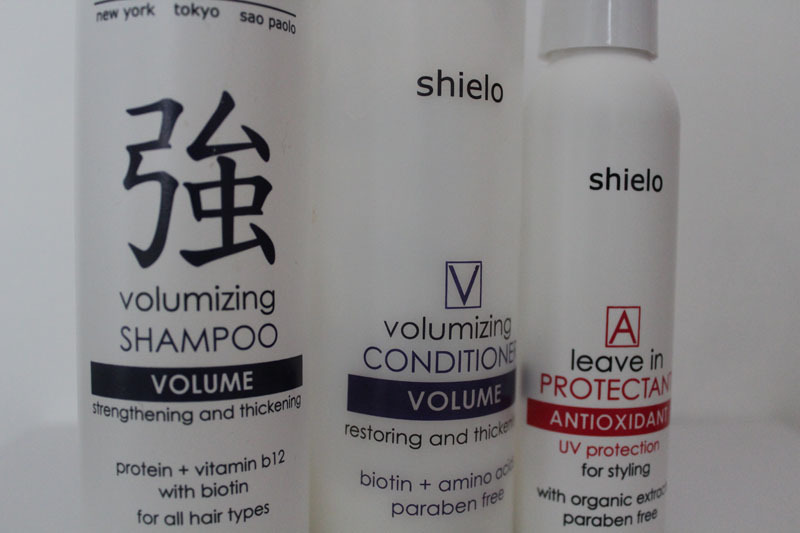 Sheilo volumizing conditioner comes in the middle in my routine. Just after my dirt removing conditioner. Considering I wash my hair every 2-3 days and I've had this conditioner since around last November it's lasted me well. Keratin amino acids : Keratin is an extremely strong protein which is a major component in skin, hair, nails, hooves, horns, and teeth. The amino acids which combine to form keratin have several unique properties, and depending on the levels of the various amino acids, keratin can be inflexible and hard, like hooves, or soft, as is the case with skin. Soy Protein : Provides structure and support for thin or weak hair. Hyaluronic acid : Strengthens, conditions and replenishes hair providing shine. Acai Berry Extract : Rich in antioxidants and natural caffeine stimulates the scalp and protects hair against free radical damage. UV Protectants : Guard hair and shield colour against the sun's damaging rays. Leave In Protectant : Confessional .... I rarely use a protectant. Terrible huh especially in the days when I use to always straighten my hair. I've got into the routine of using this. Spraying it on when my hairs damp and combing through with a wide tooth comb. Have I noticed a difference? Yes as my hair doesn't feel as dried out but I couldn't be 100% it's this protectant specifically or just the fact I am using one. UV Protectants : With natural antioxidants from white tea enhance colour protection. Shea Butter : adds a protective moisture barrier to seal the hair shaft. You always have the cool stuff!